Blum & Sons Electric, Inc. was chosen as the hospital’s electrical contractor for an extensive renovation of an existing 2,800 square-foot shell space within new second floor surgery department at Cottage Hospital. The Company was the lead designer on this BIM supported project. Blum & Sons Electric, Inc. provided electrical distribution to feed state of the art imaging equipment being utilized by the Surgery Department. This was a high profile project for Cottage Hospital. Blum & Sons Electric, Inc. was required to successfully meet a variety of challenges including working within an extremely tight space, maintaining sterile conditions to protect high tech equipment, working while surgeries were being performed in adjacent operating rooms, working while patients were present, and dealing with the demanding schedules of multiple physicians. Blum & Sons Electrical Contractors began work in November, 2013, and completed in November, 2015 on time and according to scheduled deadlines. A 3,500 square-foot buildout of the Radiology Department at Cottage Hospital was undertaken. Blum & Sons Electric, Inc. provided all new LED lighting throughout the space. The Company worked closely with the project design team to ensure all design changes were accounted for in the final build-out. Numerous physician work areas were created to provide a quiet, supportive environment for professional research. This project was completed on time and within budget. A 5,200 square-foot renovation of the existing first floor Cath Lab was begun in 2012. Blum & Sons Electric, Inc. provided the electrical infrastructure required to support new state of the art Siemens and Philips equipment being installed in the space. A new lighting system and lighting controls were also installed. Lighting controls were fully integrated with the cath lab equipment. The Company also provided brand new conduit and floor duct systems in order to support the large amount of cabling required to power the facility. The Company worked closely with Siemens and Philips as well as the Engineer of Record, the Hospital’s Project Manager, and Hospital Facilities Department on a regular basis to accommodate numerous changes and ensure a timely and successful completion of the project. Blum & Sons Electric, Inc. was contracted to perform a “safe-off” of an entire section of Cottage Hospital. With our in-depth knowledge of the facility and exceptional quality of work performed, the Company was the preferred contractor for this phase of the project. From the beginning of the project in February, 2011 to completion in November, 2012, approximately 250,000 sq/ft of building was removed. A six-story center section of the building was demolished while adjacent wings remained functioning. All electrical wiring, fire alarms, data cables, fiber optics, paging systems, nurse call systems, text board messaging systems, access control and voice systems which passed through the center section of the Hospital were “surgically” separated from the intact wing sections. Conduit systems were re-routed as well. All work was performed while the functioning wings were still active. The Company provided flexible work hours during the day and at night to accommodate the needs of the Hospital. The enormous scope of electrical work required to successfully perform the demolition required a tremendous amount of coordination between the Hospital and the Company. Upon completion of the project, the Hospital was able to demolish the six-story center building without any electrical complications. Blum & Sons Electric, Inc. was contracted to provide installation of an electrical infrastructure designed to support a new hospital wide chiller system. The Company began by installing a temporary distribution system to support the existing chiller system until the new system could be brought online. The temporary system enabled us to renovate the existing chiller area and install a new distribution system to feed the new system. This work was critically important to the Hospital. Once the new chiller system was ready to go online, the Company waited for necessary cooler weather before performing the final cutover. Warmer weather and subsequently increased A/C usage within the Hospital made close coordination an utmost priority. Despite the tight schedule and extraordinary requirements, Blum & Sons Electric, Inc. completed the hospital electrical contracting project successfully, and on time. Blum & Sons Electric, Inc. was asked to participate in the renovation of 3,400 sq/ft of existing space on the second floor of Buildings E and G of Cottage Hospital. Renovation of all second floor lighting as well as a completely upgraded distribution system was required to support the new floor. All lighting control systems were also upgraded in addition to the fire alarm system, nurse call system, text boards, paging system, master clock, and visual alert and communication systems. Work space was limited and shared with several other contractors all performing services simultaneously. Communication and coordination with a variety of contractors was a key aspect to the success of this project. Project was completed in 2013 on time and within budget. Renovation of 4,000 sq/ft of the third floor open space was undertaken to support the Hospital’s new Clinical Lab area. A complete upgrade to existing power distribution was provided to support Clinical Lab workstations. The Company was asked to provide approximately 3,000 linear feet of wire mold to power outlets and communications drops at each work station. New lighting and lighting controls were provided to support the new Lab configuration. Numerous changes to the project during construction created many challenges to this project. Work was successfully completed in 2013. 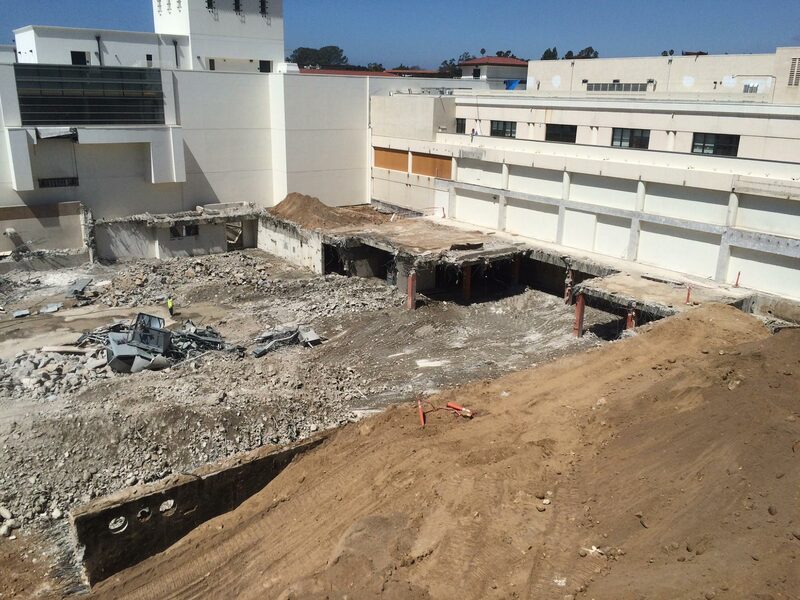 Renovation of 2,000 sq/ft of open space within the Goleta Valley Cottage Hospital was begun in 2014 in which a state of the art Breast Care Facility was created. Blum & Sons Electric, Inc. provided a new power distribution system to support new Mammogram units, Procedure Room, Patient Rooms, and Waiting Rooms. A new lighting and lighting control system was installed along with new fire alarm and nurse call systems. This project was completed ahead of schedule in 2015 due to exceptional coordination and communication among all related sub-contractors, General Contractor, and Hospital personnel. The gamut of work completed from 2011-2016 by Blum & Sons Electric, Inc during the demolition and construction phases of Cottage Hospital’s facilities upgrade was accomplished with the help of great planning and collaboration on everyone’s part. These projects put Blum & Sons electrical contractors at the top of the list for hospital electrical contracting projects up and down California, and, in general, as a top Santa Barbara electrical contractor. The Cottage Healthcare Systems project represents a tremendous amount of work done on time and within budget. 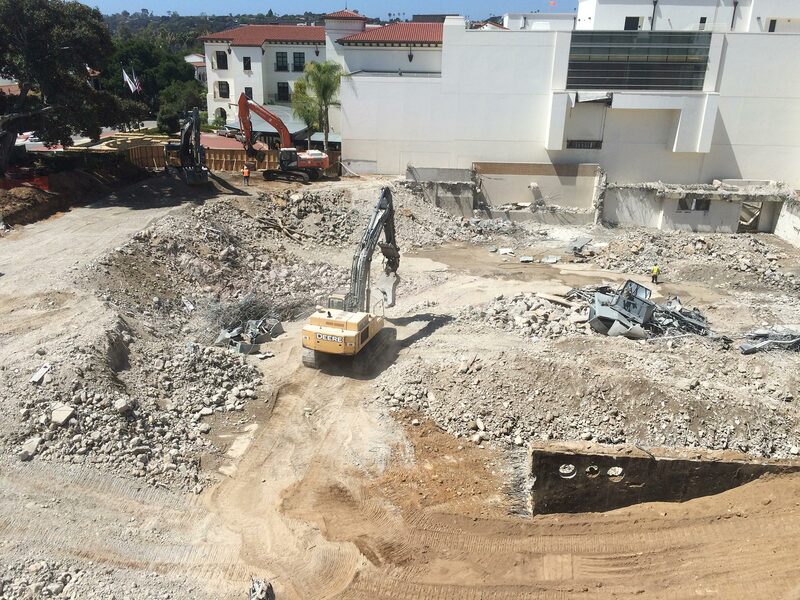 Additionally, the hospital’s remodel is a landmark achievement for the residents of the Santa Barbara area, and Blum & Sons Electric are proud to be a part of it.